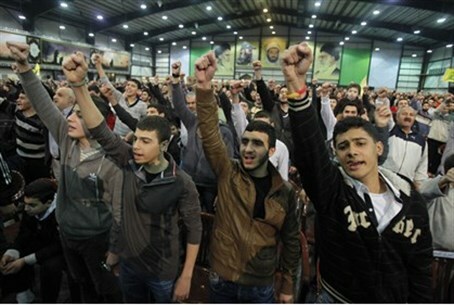 MainAll NewsDefense/SecurityArab-Israeli Journalist Joined Hezbollah? Arab-Israeli journalist and Balad activist arrested on suspicions of making contact with terror group while visiting enemy country. Majd Kayyal, an Arab-Israeli journalist and activist for the Arab party Balad. Kayyal was arrested five days ago on suspicions of contacting the terror group Hezbollah while in Lebanon. Details on the arrest of the 25-year-old from Haifa were released for publication on Thursday. Kayyal was brought in on suspicions of having made contact with a foreign agent and visiting an enemy country. Kayyal was released from custody later on Thursday, but placed under house arrest until April 22 when he will stand trial, police spokeswoman Luba Samri said in a statement. A Shin Bet (Israel Security Agency) spokesperson told AFP that Kayyal crossed into Jordan on March 23, on his way to a conference in Lebanon organized by the pro-Syrian As-Safir newspaper. Kayyal's friends argue he had been working for the paper the past two years. The newspaper released a statement claiming he had been working and reporting during his entire time in Lebanon, and that the arrest of journalists "disrupts the essential mission of free journalism in countries that claim to be democratic." Despite being an Israeli citizen, Kayyal arranged his paperwork to travel to Lebanon through the Palestinian Authority (PA). Shin Bet noted that Lebanon is classified as an "enemy country," and that travel to the country is forbidden to Israeli citizens. "A suspicion arose that he was recruited by a hostile organization, and therefore upon his return on April 12 he was arrested by police and taken to us for questioning," said the Shin Bet spokesperson. Voice of Israel public radio specified that Kayyal was suspected of making contact with Hezbollah. In March, Hezbollah terrorists injured three IDF soldiers with a bomb on the Israeli border in a kidnapping attempt, and approached the border on several other occasions, leading to warnings of an "explosive situation" and dangers of a third Lebanon War. Kayyal was previously brought in for questioning in 2011 for taking part in an aid flotilla to Hamas-controlled Gaza, added the Shin Bet spokesperson. A former Knesset Member for Balad, Saeed Nafaa, was convicted 11 days ago of visiting an enemy country and meeting a foreign agent, when he met a top official from the Popular Front for the Liberation of Palestine (PFLP) while on a visit to Syria in 2007. The then-MK – who promoted a combined Arab-Druze anti-Israeli identity among his fellow Druze – led a delegation of Druze priests from Israel to Syria, despite security officials' decision not to approve the visit for security reasons. Nafaa is the second Balad MK to commit treasonous pro-terror acts. Balad founder Azmi Bishara fled Israel in 2007 after the Shin Bet began questioning him over his phone conversations with Hezbollah officials during the Second Lebanon War in 2006. The Adalah Center for Arab Minority Rights requested Kayyal's case to be published; Kayyal had served as editor for the group's internet site. Back in 2012, Adalah's request to overturn the "Nakba Law," which blocks funds for groups declaring the foundation of Israel as a "disaster," was rejected by the High Court of Justice.